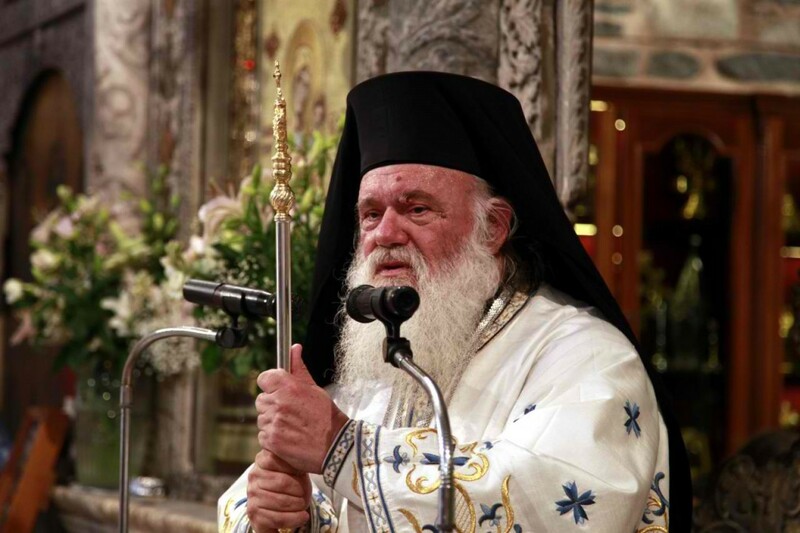 (Greek Reporter) - Archbishop Ieronymos II of Athens and All Greece accused Europe and the Greek government of trying to alter Christian Greek society and the identity of Greek people. Ieronymos spoke on the occasion of a recent government proposal to make easier for students to be exempted from religious education classes. “The recent incident regarding religious education classes is the tip of the iceberg, I’m afraid. It seems that our European friends — taking advantage of our dire economic situation and in light of changing the economic relations between us — will seek by all means to alter Greek society starting with our schools,” Ieronymos said, addressing the Annual Conference of the Holy Synod. Which Church father called for mandatory religious education classes in school? Or maybe it's in the canons? Greece's economic situation is dire to be sure. But it is hardly the exclusive fault of the EU or Greek's creditors. The Greeks joined the EU and adopted the common currency living high on the difference between the drachma and the euro. They also borrowed extensively to finance what can only be described as an inefficient State run bureaucracy and welfare system that favored consumption over production. Sorry but drink the king's wine and you dance to his tune. The Church has depended on the State to step in and do for her the work what can only be done through evangelism, catechesis, preaching and spiritual formation. Profligate spending and unwise borrowing by the Greek people and pastoral neglect by the Church are as much to blame as predatory lending by European banks. Is the State required to be strictly agnostic and democratic according to Church teaching? True. Still sad that Europe is holding the Greek people and heritage hostage because of the mistakes of secularist Greek bureaucrats. More than sad, it is tragic and a grave injustice. Given the role of some Greeks in this makes it doubly so. I'm glad there is concern for religious education in the schools, maybe even do some in church on Sunday? How about using a version of Greek that people understand? Oh, can't do that? You lost me. With all the religious education, Orthodox mind you, how many abortions are there every year in Greece?